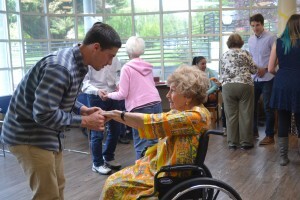 Student Engagement Center | Adopt-A-Grandparent Senior Prom! The Senior Prom was a great conclusion to a fabulous year of AAG! Throughout the year, over 90 volunteers have participated in the program, leading to over 1000 hours of community service at Odd Fellows. Wahooo! Go AAG volunteers! Thanks so much for your outstanding service with the Adopt-A-Grandparent program. This was the fifth year of hosting a Senior Prom at Odd Fellows. This year, we held it in a new location in the West Care Dining Hall. It was nice to see some new faces, many of those who were unable to attend other AAG events. 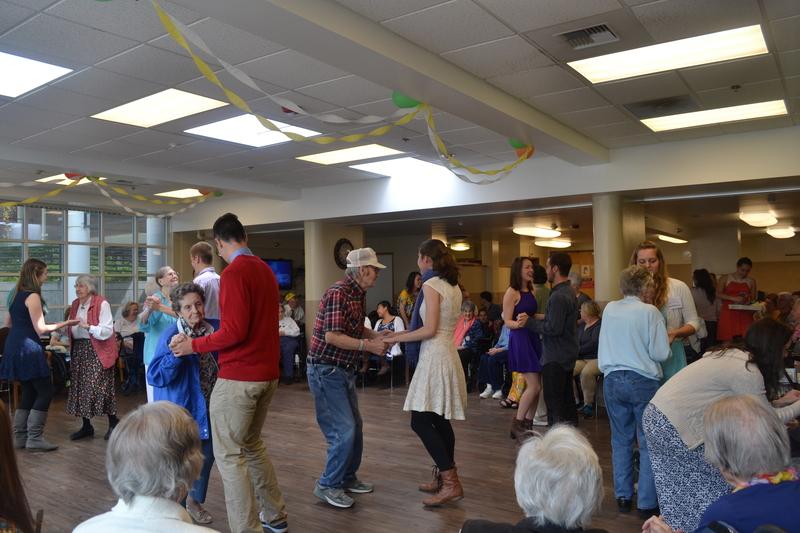 Despite it being a little cramped, residents and volunteers showed off their dance moves throughout the hour! It was a wonderful treat to have the Testostertones perform to kick off the event. Thank you! 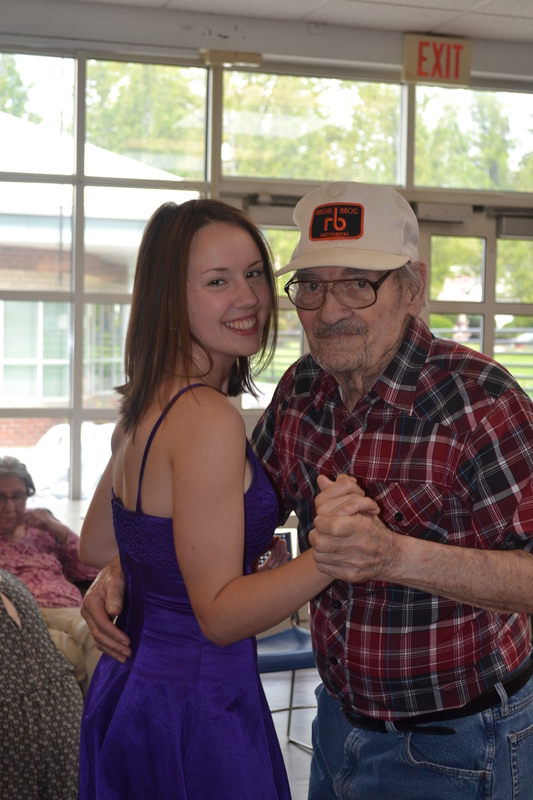 Also, thank you to all those from TKE who came, dressed up, to dance with residents! You all provided awesome energy to the dance floor. And, thank you to Abby Juhasz for taking such wonderful pictures. This event was also a time to thank our wonderful community partners, the activity directors at Odd Fellows. Lisa, Sonja, Dee, and Kayla do an amazing amount of work to support the Adopt-A-Grandparent program. They have been working closely with me as the intern throughout the year and help to foster relationships between Whitman volunteers and residents. This program grows stronger every year thanks to their hard work and dedication!